Planning a visit to Laos? You can expect to see a ton of interesting things during your trip to Laos such as ancient temples, rice fields, natural parks, Buddhist monks and shrines, as well as enjoy memorable experiences such as cruising the Mekong River. The Plain of Jars is one of the most enigmatic sites in the north-east of Laos that you can visit on a day trip. 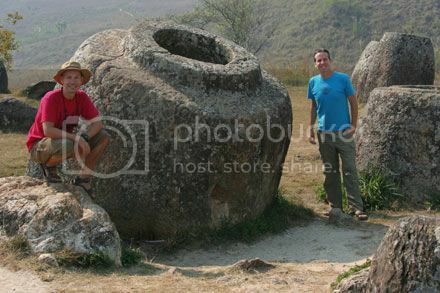 The Plain f Jars is literary a plain filled with prehistoric over-sized stone jars that are scattered over a wide area of the plains of Xieng Khouang. These huge stone jars are definitely, one of the most fascinating things you’ll see in Laos since noone why they are there. What makes this trip worth it though is that you get to soak the beautiful countryside views surrounding the sites. Kong Lor cave is located within the Phou Hi Poun National Bio-Diversity Conservation Area and it’s no doubt, one of the top sights to see in Laos. The area surrounding the cave is stunning and the cave experience is second to none because the only way to see the cave is on boat. You actually get to ride the whole four miles of the cave and come out at the other end! As far as getting to the cave, you can easily and inexpensively get to Kong Lor cave by bus or private car from the capital city of Vientiane (Viangchan), though it does take a good 6-7 hours to get there. This is why is a good idea to plan this outing as a day trip and spend the night at one of the nearby villages (both Kong Lor and Natan villages have lodgings for tourists). Also, be aware that Kong Lor is prone to flooding during the rainy season (late May thru November) so that’s worth keeping in mind. Kuang Si falls are located just outside of Luang Prabang and they're definitely one of the most beautiful sights to see in Laos. These waterfalls are one of the best side trips you can do from Luang Prabang and you’ll be rewarded with beautiful scenery and plenty to do! Kuang Si falls are gorgeously maintained by the locals who have built walkways and bridges through the forest for people to walk through. You're also allowed to climb to the top of the falls, swim in the pools, enjoy a picnic and visit the bear sanctuary where you can see up-close the Asiatic black bear. 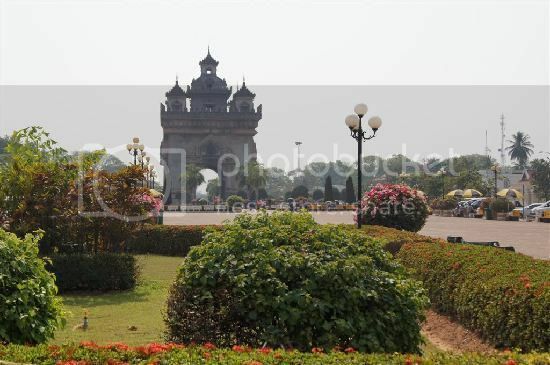 Being the capital, Vientiane is home to some of the top sights to see in Laos such as the Pratuxai Monument, Buddha Park, Wat Ong Teu Mahawihan (Buddhist monastery) and Haw Phra Kaew. Having said this, two places you wouldn't want to miss are Pratuxai Monument and Buddha Park which are two of the most stunning sights you’ll photograph in Laos. Buddha Park has a huge statue of a laying Buddha on his side, while Pratuxai is a stunningly constructed memorial monument that resembles the famous “Arc de Triomphe” of Paris. Besides taking photos from afar, be sure you go inside the monument to see the beautiful dome frescoes depicting Hindu gods. Vieng Xai is not only a stunning place to visit but a place where you can learn a bit of history regarding Laos' past conflicts. Basically, Vieng Xai suffered heavy bombardment during the “Secret War” of the 60’s and 70’s. 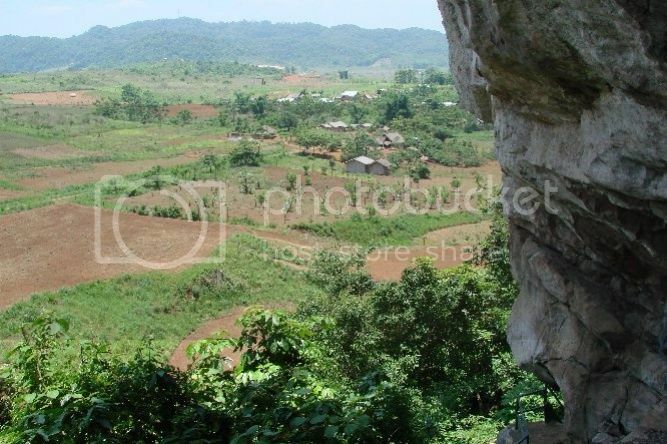 The bomb raids were so frequent that villagers and the Pathet Lao Leaders were forced to retreat and live in the nearby caves, which are known today as the Pathet Lao caves. The scenery surrounding the caves is truly memorable, while the guided tour of the caves is even more startling when you learn that more than 20,000 people actually lived and worked in these dark caves. If you’re wondering how to get to the Vieng Xai, the caves are located in east side of Laos near the city of Sam Nuea (near the conservation area of Nam Et). 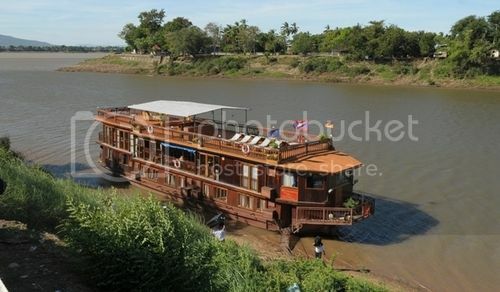 From Luang Prabang, it takes around 4 hours drive by private car or 10 hours by bus. If you’re looking for more cool photo opportunities, the Pak Ou Caves are without question, one of the top sights to see in Laos. The caves are located on the east side of the beautiful Mekong River and are famously known for its thousands of Buddha statues that have been donated by people over the years. 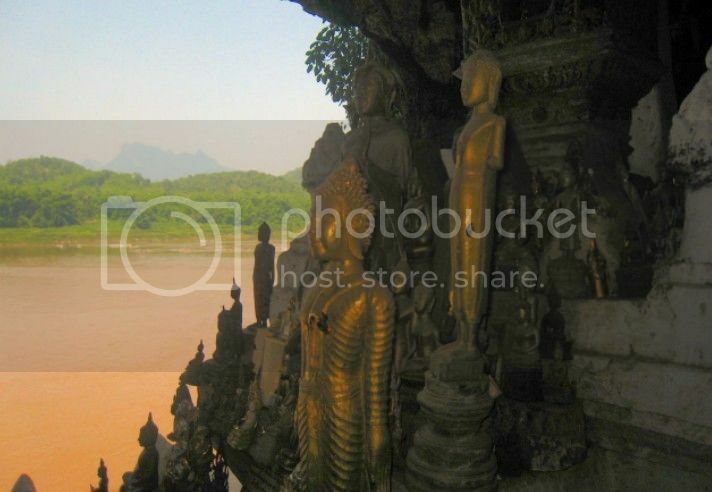 The Buddha statues can be found on both caves and some of the bigger ones are located facing the Mekong River (as if they were guarding the caves). 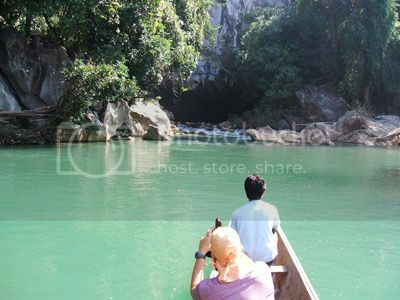 The best thing about going to the Pak Ou caves is that they aren’t far at all from Luang Prabang. 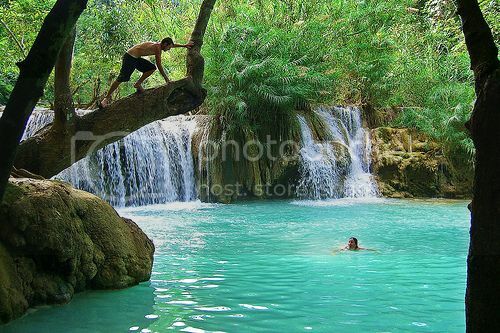 In fact, you can easily get from Luang Prabang to Pak Ou caves by boat or tuk-tuk (a.k.a songthaew) and be back to Luang Prabang in half-day.